Earn up to 1,296 reward points. Imitates the sound of hard-driven tube amp. The Rock Drive has been described as a "high-end" tube screamer. The unit offers the player more gain than the Crunch Drive and has a more neutral voicing. 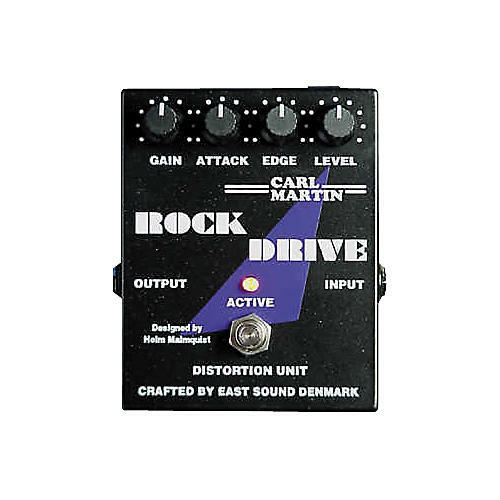 It works particularly well for getting that classic rock tone, and you can push it without altering the basic tone of the guitar or limiting your dynamics. The attack and edge controls give you access to a variety of flavors within the hard rock range. Features high-quality switch, true bypass, and external AC adapter plug. 9V battery powered.